A few weeks ago, my parents and I went along to watch ‘The Big City’ (Mahangar), a movie by the Bengali film director, Satyajit Ray. It was being shown at the British Film Institute as part of a full retrospective of his movies. In a nutshell the movie is about the changing face of India in the 1960s (specifically Calcutta) – for the society, for families and for women. Although the movie was made more than half a century ago, its themes and messages still burn brightly and made me think about parallels with my family. Firstly, a quick note on Satyajit Ray. As one of the two biggest Bengali cultural icons (see here for my thoughts on the other one, Rabrindranath Tagore), his movies are imprinted on the psyche of any Bengali, old and young. The ‘Apu Trilogy’ is almost akin to required viewing to pass the Bengali 101 class and those who haven’t watched the movies are usually met with an incredulous look that questions the validity of their Bengali creds. 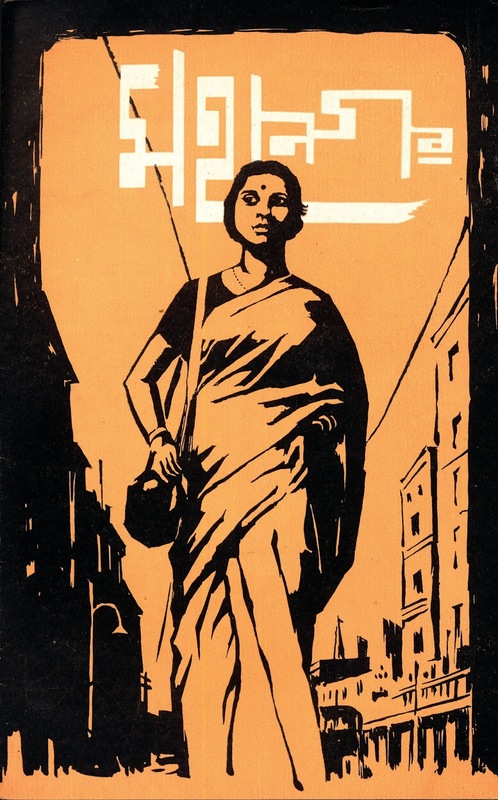 For once, I am a total fan of this particular Bengali icon. He perfectly captured the nuances of the Bengali character, the movies have international appeal, and above all his cinematic style conveyed the subtleties and flaws of humanity with a whisper instead of megaphone. Through the little side glances, a change in body language and the minutiae that convey the small crucial decisions of life, his movies seep into your bones unobtrusively. As for the movie, what really struck me how the story of the central character, Arati is still so relevant to our times. She starts out as a coy, sweet and diligent wife and daughter-in-law. Her subsequent subtle transformation into a multi-dimensional woman who forges her own personal identity beyond the confines of the archetype of what a woman/wife/working mother should or should not be is amazing to watch. What is also pleasing is to see her husband’s gradual (albeit initially begrudging) acceptance and appreciation of his wife as an individual who is his equal. Given all the current (still!) debate about the role of women, the definition of feminism in India and elsewhere, this story resonated. It became clear to me that as long as we continue to deify women – especially in India – we will always fall into the trap of using the language of ‘should’ and ‘should not’ for women instead of just seeing us as humans, with flaws and cracks. So why write about this? It made me incredibly grateful for the women in my family. While the role of women in Bengali society is chequered (as in most other places), I can honestly say that in the case of my family, I have more examples of women who blaze their own trails than those who do not. Aunts who are scientists, head up university departments, stay-at-home parents; cousins who are designers, doctors and architects; nieces who are studying what they want to study and have pink hair. They live inside and outside India, some are mothers, some have never married. The women in my family do what the hell they want and don’t lose sight of themselves. They don’t and won’t stop.